Language Arts test prep for state standardized testing. 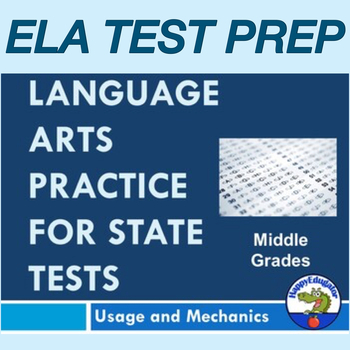 This interactive PowerPoint is a good test prep practice review or study guide for any ELA state test. 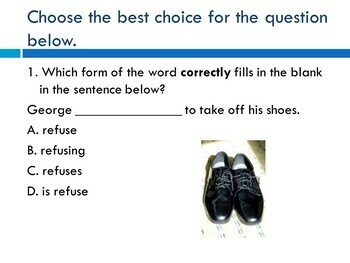 It has 25 questions similar to the type students might find on a standardized test in English Language Arts for grammar usage and mechanics. Slides are set up so that students can first attempt the question on their own, and then use the next slide to check their answer and discuss. Designed for middle grades. No Prep. No printing necessary. Supports common core standards.